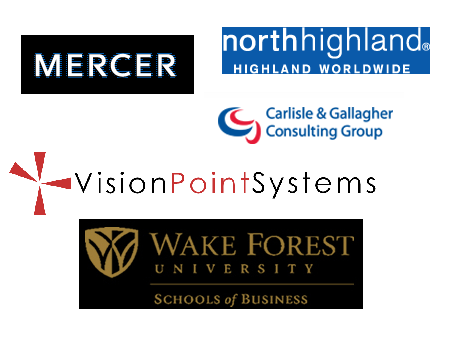 I participated in the Consulting Careers forum last night in Charlotte, NC at the WFU SsOB campus. It was a well-attended event with about 30 students and 6 panelists (5 alumni) representing other consulting companies such as The North Highland Company, Carlisle and Gallagher Consulting Group, Techcheck Inc., and Mercer Health & Benefits. It was my first event as an Alumni (now 18 months out) so I was excited to get involved with the WFU community again. I enjoyed the discussion. Mainly student Q&A, it covered questions on the typical consulting day (not that there it is such a thing), how to break into consulting, what industries are served by the consulting industry (essentially all of them), what skills are most valuable to be a good consultant, and the pros/cons of working for bigger vs. smaller firms. There were a few points that really stood out to me as being insightful from the other panelists. I’ll share them here. First, on the topic of getting introduced to a consulting company, the point was made that it can be very helpful to make an informal introduction of yourself to the company. This can be done by leveraging whatever personal connections one might have with a company, alumni connections perhaps, to simply have lunch or coffee with a company rep which would hopefully give a sense of the culture/lifestyle that might be the norm at a given firm. Consulting is a field which relies on personal touches and comforts, and different firms will have different slants on these softer aspects of the work. The experience at Vision Point Systems, an example of a small boutique technology firm, is going to be much different than at a mega firm like Accenture. I look forward to continuing my involvement in the WFU Alumni community, and it was great to make connections with the students and other panelists in the Charlotte area.